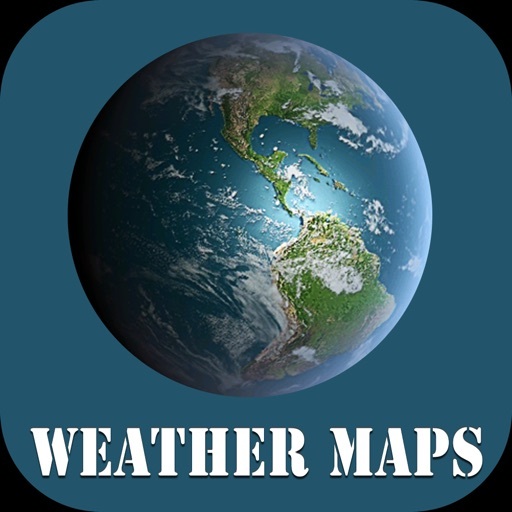 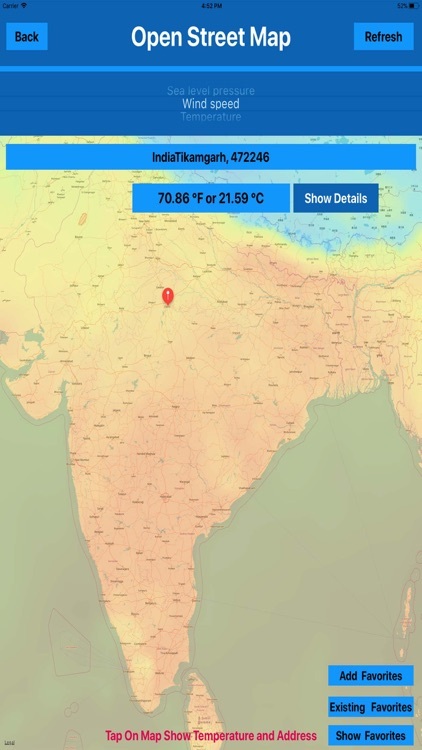 Weather Maps App provides many kinds of weather maps including Precipitation, Clouds, Pressure, Temperature, Wind and more. Quick and easy way to get various weather forecast. 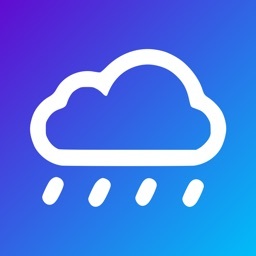 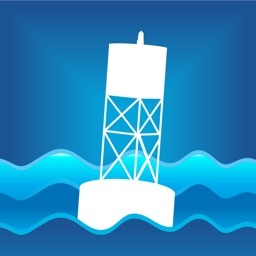 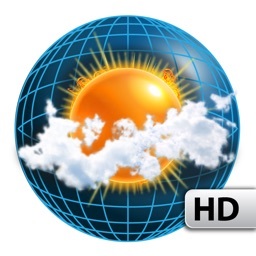 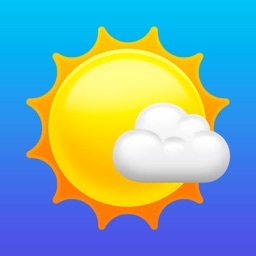 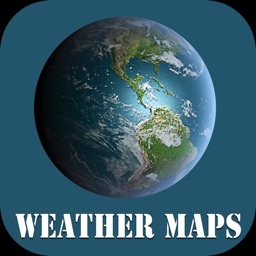 Access weather forecasts for any particular location. 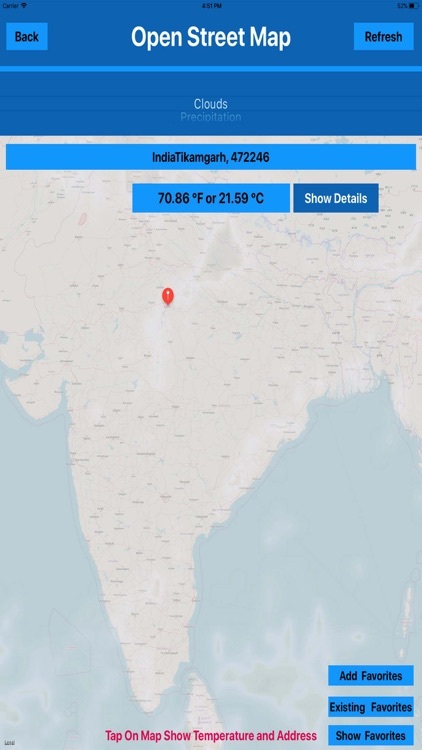 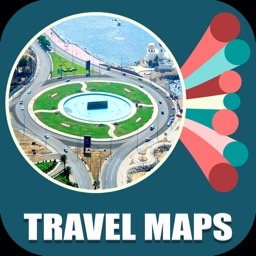 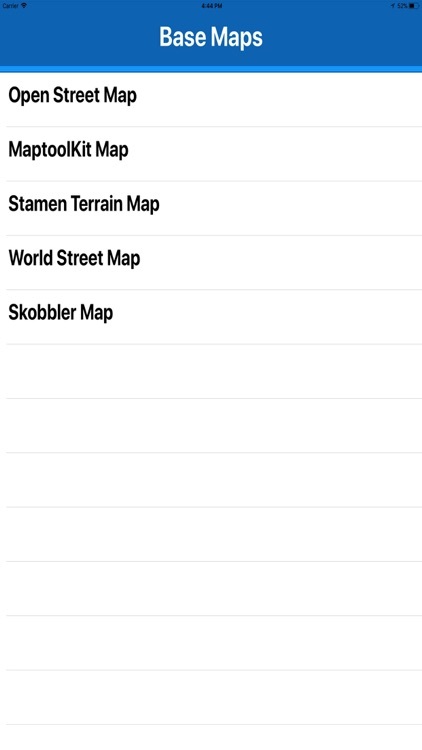 Tap on the map to view weather conditions of any location. 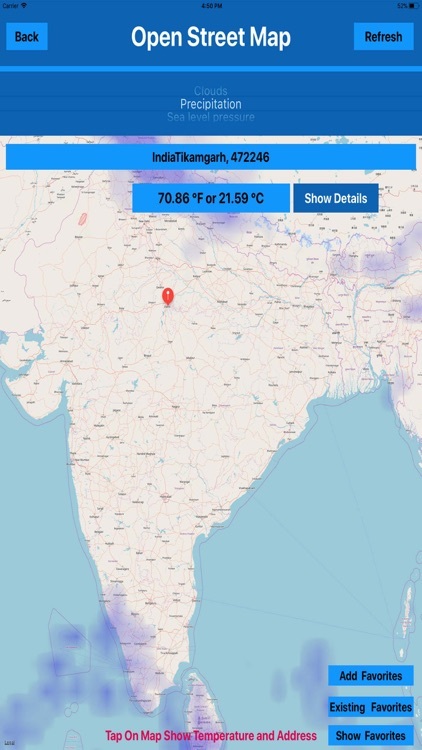 App needs a fast Internet connection 3g,4g or wifi.